1. Fill a large pot with water, add a few tablespoons of salt and bring to a boil. Add pasta and cook until al dente. 2. 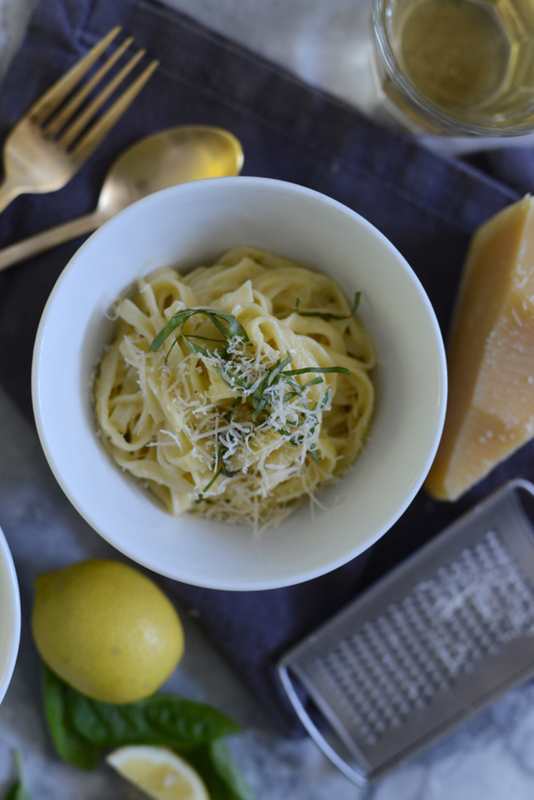 Pour pasta into a colander and drizzle with some olive oil to keep the noodles from sticking together. 3. Place the pot you cooked the pasta in back on the stove, add the olive oil, lemon zest, heavy cream and about half of the pasta water, cook on medium heat for 3-4 minutes, stirring once or twice. 4. Turn the heat off, add the pasta, lemon juice, cheese and basil, mix to combine well. The sauce should thicken nicely, but you can add more of the pasta water if it gets too thick. Taste the pasta and season with salt and pepper to your preferred flavor. Add the red chili flakes, stir again and serve immediately.